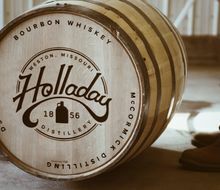 The Holladay Experience offers a unique opportunity to explore 160 years of history and experience Real Missouri Bourbon being made. You’ll see the limestone spring first discovered by Lewis and Clark in 1804. You’ll step inside the stillhouse that dates back to the mid-1800s where Benjamin Holladay first started using that limestone water to make bourbon. You’ll see the bonded warehouses where the barrels are aged and take a peek into the world-class bottling facility where all of the McCormick products are bottled and labeled. Most importantly, you will see, smell, taste and touch Real Missouri Bourbon being made using the original recipe from 160 years ago. This is a distillery tour like any other. HOURS: Mon.-Fri. 10 a.m.-5 p.m., Sat. 10 a.m.-6 p.m., Sun. 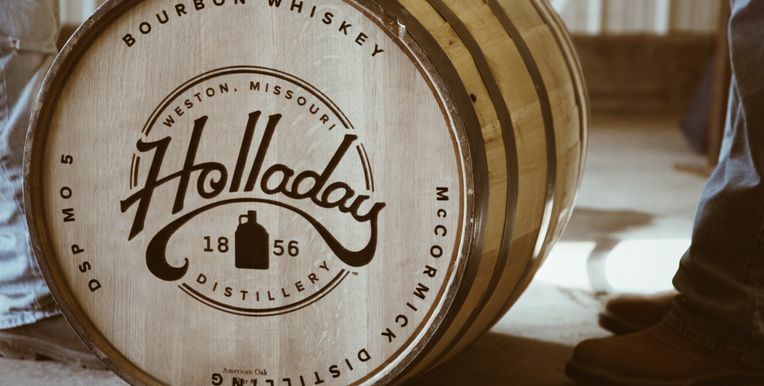 11 a.m.-5 p.m.
HISTORY: 160 years in the making, the Holladay Distillery is the oldest distillery west of the Mississippi River still located on its original site, and is the proud home of McCormicks Distilling Company. Nestled in the rolling hills of Weston, Missouri, the distillery is rich in history and full of surprises. For the first time in 30 years, the distillery is again distilling bourbon on-site with the same 160-year-old recipe, in the same mid-1800s stillhouse and with the same limestone spring water. 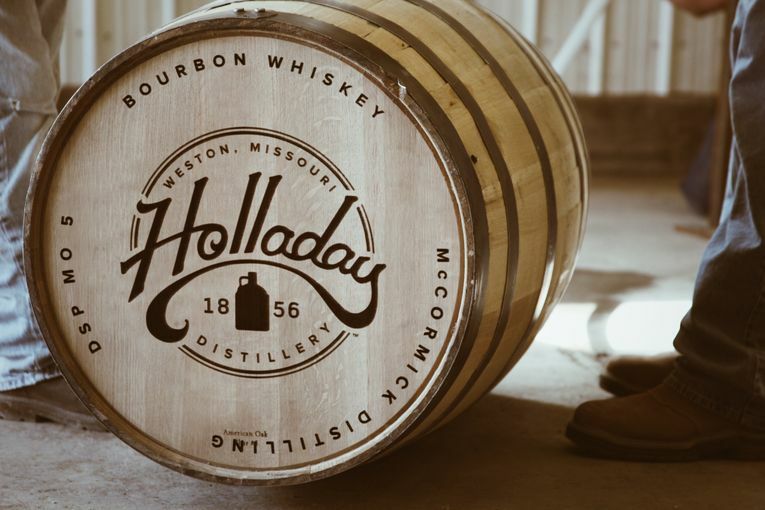 History has come full circle at the Holladay Distillery. Tours are now being offered for the first time in over 20 years. ANNUAL SPECIAL EVENTS: Haunted Holladay Tours and Applefest. DID YOU KNOW: The McCormick Distilling Company is home to over 60 products. Upon visiting the distillery, guests can sample a few of our products bottled in-house, including Tequila Rose, KeKe Beach, Triple Crown and Broker’s Gin. DON’T FORGET: Reservations are recommended but not required. Feel free to make a reservation online, over the phone or walk in! From the north: Take the I-29 South/US-71 South exit from US-71 South, Follow I-29 South/US-71 South to MO-371 in Fair Township. Take exit 20 from I-29 South/US-71 South, Take MO-273 north to McCormick Lane in Weston Township. From the east: Take I-70 East/US-40 East in Jackson. From KS-177 South, continue on I-70 East/US-40 East to Soldier. Take the KS-4 East exit from US-24 East, turn left onto KS-4 East, Turn right onto US-59 South, Follow Rogers Road and Leavenworth County Road 14/Millwood Road to US-73 South in Kickapoo, turn right onto US-73 South, Take MO-92 East and MO-45 North to McCormick Lane in Weston Township. From the west: Take Concannon Street and Holman Road to US-24 West, Turn left onto US-24 West, Get on I-435 North in Chouteau Township from MO-10 West and MO-210 West, Continue on I-435 North to Fair Township. Take exit 20 from I-29 North, Take MO-273 to McCormick Lane in Weston Township. PARKING: Parking accommodations are easily accessible and available at the Welcome Center, located at the top of the hill after entering the property.